It doesn’t take a math pro to figure out that investing $200 to fix a dryer is a much better deal than paying $375 for a brand-new one. However, the advantages and disadvantages can rapidly obstruct your brain when trying to decide if the short-term savings is worth it when a couple of hundred dollars more would get you a brand-new appliance that would last for several years. At AWG Appliance Repair, we’ve had people who needed to set up a repair appointment for a damaged dryer. The entire procedure may make you weigh the advantages and disadvantages of home appliance repair work. 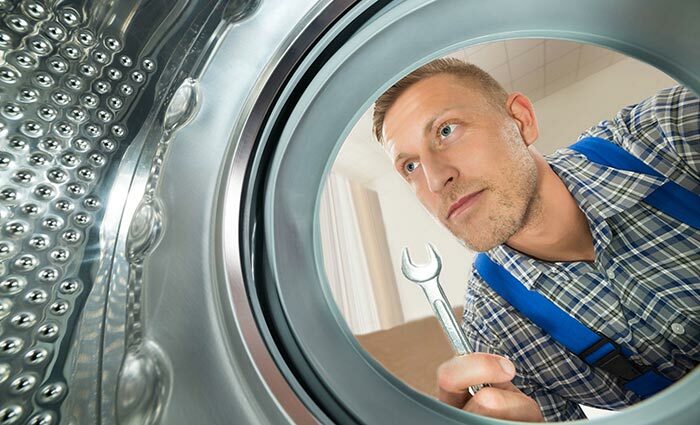 A lot of the time, a $25 part, which we would typically offer for under $20, is required repairing to bringing the dryer back to life. Plus, typically lots of lint needs to be cleared out under and inside the machine. When people initially call AWG Appliance Repair, we offer 2 fundamental choices: Pay $129 for a appliance repair technician to check it out, and after that pay whatever additional costs there is for parts. Or pay a flat, $200 fee for a repair job that may include as much as $500 in parts and a 1 year warranty that consists of limitless repairs and as much as $500 in parts per visit. Most people figure the $129 strategy would not get them too far since appliance parts can rapidly get pricey (for example: washing machine parts can get extremely pricey too). As a result, they choose the $200, 1 year service warranty. They figure they’d be conserving some money and don’t want to purchase a new dryer. This is especially true if you have one that’s less than ten years old, or 4 years less than the typical life expectancy of a clothes dryer. Even if you find out the problem is something simple like a $25 thermal fuse to repair it, think about what the $200 repair service offers and how you’ll get a like-new clothes dryer. After all, an AWG Appliance Repair technician can be at your door for up to a year and you wouldn’t need to set out another penny. AWG Appliance Repair typically offers coupons for new appliance purchases when the repair costs would be more pricey than a new appliance. There are lots of sites for DIYers who are lucky enough not to electrocute themselves. Many figure theirs has some kind of heating issue considering that, duh, the clothing aren’t drying and no heat was coming out. However, many aren’t able to fix it on their own without making things even worse. In the end, repairing the device is more affordable than purchasing a new one, which may be the opposite of something you’ve experienced in the past. After the easy math of determining the repair cost against purchasing one new, many times going with the appliance repair is a much better deal. You may also lean a couple of lessons from the technician: use the moisture sensing unit to dry clothing, not the timer. Don’t use anti-static sheet that can stop the sensing unit from working properly. We can also show you ways to pop off the lower front of the clothes dryer to eliminate the lint. Those lessons, which end up extending the life of the device and make repair calls less frequent, make it worth the $200. The truth is it’s best to listen to the technician and what he/she has to say. ← What Can You Expect To Pay For Professional Appliance Repair?